Krouse Design offers professional residential design, planning and visualization services. 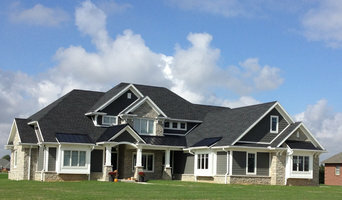 We specialize in custom plans for a new home or renovation. We provide a customer-focused approach to high-quality kitchen and bath designs. Whether you need a simple remodel or a complete home renovation, we have the solutions available to meet your needs. We provide design project for remodeling and new construction working with you from the conception of the idea to the execution of the project. Residential remodeling, additions, room reconfiguration, design consultation, and more. Our work follows a time line, our team is supervised during the construction, your vision becomes reality, all under one single contract. During the design process we take in consideration your needs, taste, budget and life style. Family owned/operated and celebrating 10+ years serving Toledo and surrounding areas! We here at Home Solutions of Maumee Valley take great pride in working with Homeowners to plan and craft their perfect space! Owner Mike attributes our successes to our excellent team and the appreciation shown from our previous customers - creating the backbone of our organization. 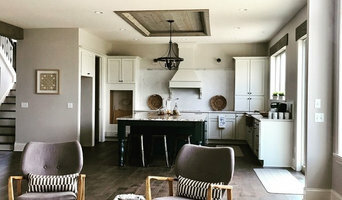 From your kitchen or bathroom remodel to large scale renovations and addition projects, at True Vision Remodeling, we offer comprehensive project management and professional execution. CONCEPT TO COMPLETION! Sylvania's Leading Kitchen Design Showroom Our showroom is located on Main Street in Downtown Sylvania, and has a boutique atmosphere. General contractor, Matt Wingate, and his wife Dori, a graphic and home decor designer purchased Maumee Bay Kitchen and Bath. They saw the showroom as an opportunity to showcase their design and building skills. MBKB’s goal is to have an owner-operated business governed by designers and builders rather than sales people. The boutique style showroom allows clients to ask questions, discuss design ideas, browse samples, order cabinets and countertops, view local art, or just sit by the fire and enjoy a cup of coffee. The Wingate’s along with designer Nikki Wolfe are available to guide you thru the whole design process. Our objective is to make your dreams a reality. MBKB’s showroom has a large selection to accommodate all tastes and budgets. Two working kitchen are just one of several highlights that make Maumee Bay Kitchen and Bath distinctive. MBKB plans for the future include hosting local chefs to demonstrate their cooking skills. The covered porch will soon be covered in flowers from a local greenhouse. We also encourage local artist to contact us if you are interested in displaying any art in our showroom. At Doug Howard Builders, we can offer you a builder with many years of experience. Doug can walk you through the new home building process, and we will do everything we can to meet your expectations. 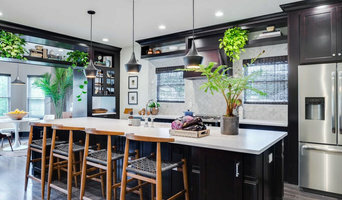 Celebrating over 90 years in Northwest Ohio, Ehrmin Remodelers specializes in kitchen and bath remodeling, room additions, window and door replacements, renovations, and more. Ehrmin Remodelers was founded as a painting company after World War I by Victor Ehrmin. It was then operated by his son, Stan, until 1975 when Gary Ehrmin became the third generation owner. Since 1990 our focus has been on Full Service Remodeling while keeping in line with our roots by maintaining a full time painter on staff: Gail Ehrmin-Lippert, Gary's sister. The Ehrmin Company is a member of the Northwest Ohio Better Business Bureau, Bowling Green BNI and the Toledo Area Chamber of Commerce. The company services the entire Northwest Ohio area including Toledo and all surrounding suburbs. KSI is a home design and remodeling firm that creates spaces in the home people will love for life. 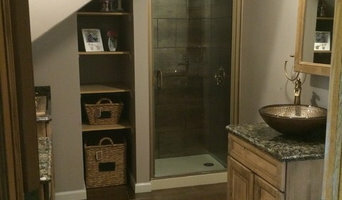 Accessible Renovations is your local, veteran owned remodeling firm in NW Ohio. We are experts in custom bathrooms, kitchens, additions, and new home construction, with an emphasis on special needs and accessibility. For 14 years we have been creating better situations for the handicapped and the elderly of our community by removing the barriers to their independence. Our principals have over 60 years construction experience throughout the industry, and into the medical side as well, which has us asking the right questions and providing modifications that work for the client - not just meeting ADA law. Patrick Andrews is a Certified Aging in Place Specialist (CAPS) making him one of only a hand full of Remodeling Contractors across the country that carry that special designation from the National Association of Home Builders (NAHB) including being a Certified Graduate Remodeler and a Certified Green Professional. As a recognized expert in therapeutic home adaptations for those with disabilities, he was sought out to co-author a peer-reviewed medical journal article (PMID: 19873963) and has lectured at Bowling Green State University’s Dept of Optimal Aging. Matthew Lee brings a host of skills and a wealth of knowledge to the table. His well-rounded experiences and extensive ADA code involvement make him uniquely qualified to uncover solutions to challenges faced by persons with disabilities along with the ever changing dynamics of our aging population. ARI has an exceptional capacity to assemble teams of specialists with the implicit focus on delivering quality built renovations and additions to our clients. We are more than merely contractors with an ability to manage all aspects of both large and small scale general construction projects. At ARI, we work hard to see the world through our clients' eyes and listen carefully to their needs and provide the perfect solution. Contact us today to discuss your dream project! Costs range based on the scope and scale of the project: Design Plans range from $1250 and up. 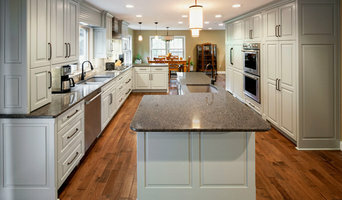 Kitchen & Bath Renovations can range from $5,000- $150,000. Home Additions and Remodels can range from $50,000-$400,000. Special Needs/ADA Renovations/Grab-Bar/Accessible Bathrooms/Special Needs Equipment/Wheelchair Ramps can range from $75-$20,000. New Home Construction can start at $200,000 and Up.